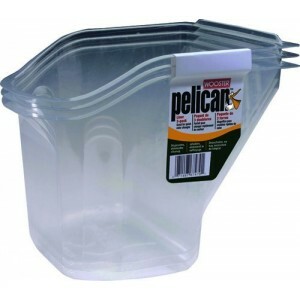 Use with a roller: A built in roller grid makes the Pelican work seamlessly with all rollers 4" or smaller. A ledge at the top of the grid catches excess paint & returns it back into the pail. A notch under the lip keeps the roller frame in place. Use with a brush: In between brushstrokes, the Wooster Pelican's integrated magnet will neatly and securely hold a brush in palce, and as its molded inside the wall, the magnet won't rust or trap paint. 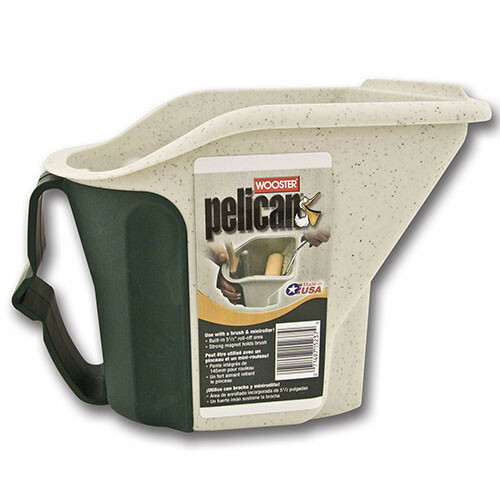 Comfort: The Wooster Pelican makes difficult painting task more easier due to its comfort. To fit different sized hands, the security strap automatically expands. Designed to rest in one hand effortlessly, the Pelican has grip indents for both left and right hand use. For added comfort the strap is made from a soft-feel elastomer. Wooster Pelican Hand Held Kettle Liners 3 Pack -Rigid -Protect Wooster Pelican - Offer I.. 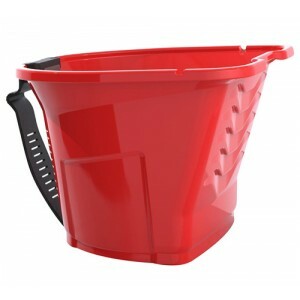 Matching Lid for the Wooster 5 Gallon Wide Boy Bucket Easy on and off lid protects paint from de..